As we all know, TV shows, movies and music videos purchased from iTunes Store are copy-protected by DRM (Digital Restrictions Management). Due to the DRM protection, you can only play your iTunes purchased media on Apple products like iPhone, iPad, iPod, etc. And if you want to remove DRM protection so that you can enjoy these media on non-Apple programs or devices like HTC, Samsung, PSP, Zune, etc, you should remove the protection first. Most popular ways of removing DRM protection have come from software programs which are specifically for that purpose. These programs can bypass the DRM on a file and create a new file that the user can then copy or view through whatever device or method they would prefer to use. 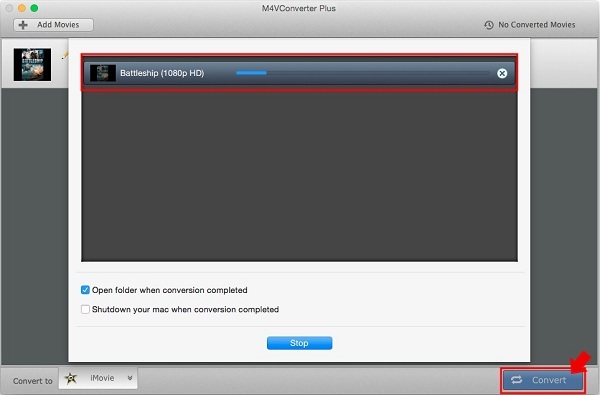 One of the common ways for removing DRM protection is using the DRM media converter - M4V Converter Plus. 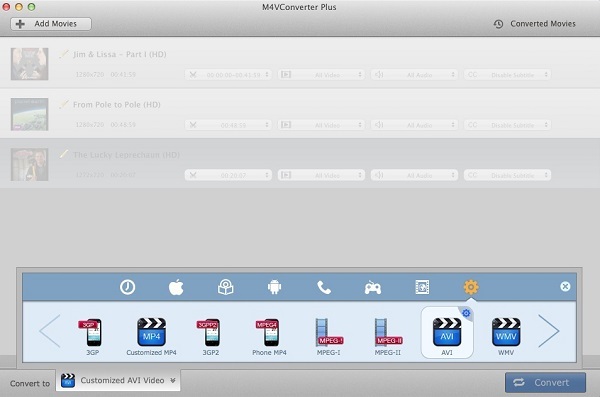 With it, you can convert protected M4V from iTunes media files easily, and convert them to any non-protected video formats like MP4, MOV to play them on any portable video player devices. Download the Mac program, install and launch it. Then add your iTunes media files by directly and dropping them to the program. 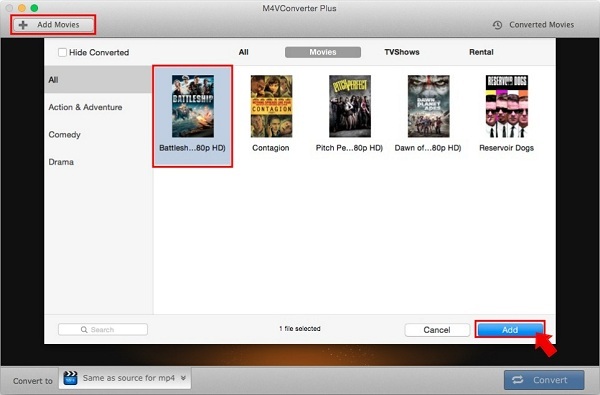 You can also click the "Add Movies" to add the files from your iTunes library. At the bottom of the DRM converter, you can find "Convert to" drop-down list to choose the output foramt as device you own. You are able to customize the format parematers as your need. Step 3: Start the iTunes DRM media conversion progress. Now all you need to do is clicking the "Convert" button at the bottom of the main interface, the iTunes DRM Media Converter will finish the rest for you automatically. Digital rights management schemes are various access control technologies that are used to restrict usage of proprietary hardware and copyrighted works. DRM technologies try to control the use, modification, and distribution of copyrighted works (such as software and multimedia content), as well as systems within devices that enforce these policies. DRM is in common use by the entertainment industry (e.g., audio and video publishers). Many online music stores, such as Apple's iTunes Store, and e-book publishers and vendors, such as OverDrive, also use DRM, as do cable and satellite service operators, to prevent unauthorized use of content or services. However, Apple dropped DRM from all iTunes music files around 2009.